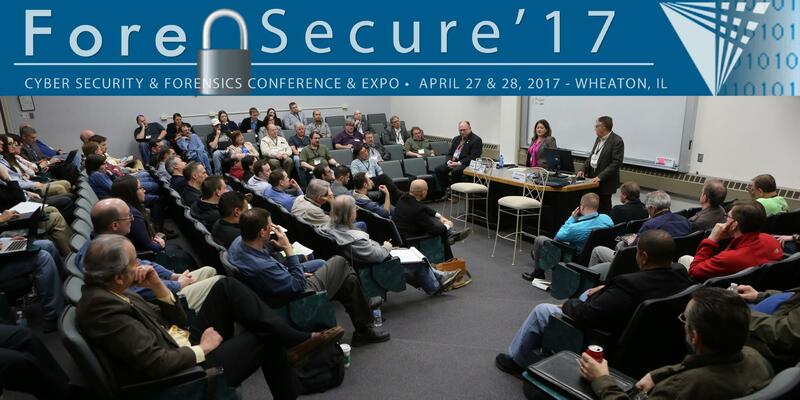 ForenSecure’17: Cyber Forensics and Security Conference and Expo is an industry-focused technical conference (not an academic conference) with multiple tracks. It attracts 200+ professionals for an intensive one- and a half-day schedule that includes discussion and debate over forensics, security, data/information governance, cyber crime and security, cyber security legislation and legal issues, ethical hacking, eDiscovery, cloud forensics, steganography, policy and compliance, privacy, wireless security, cloud computing, identity theft, and more. Open to Illinois Tech faculty, students, staff and the public. Or contact Scott Pfeiffer at pfeiffer@iit.edu or 312-567-5922 for more details.